E-SURVEY team introduces E-STAFF, an innovative employee time & attendance platform. 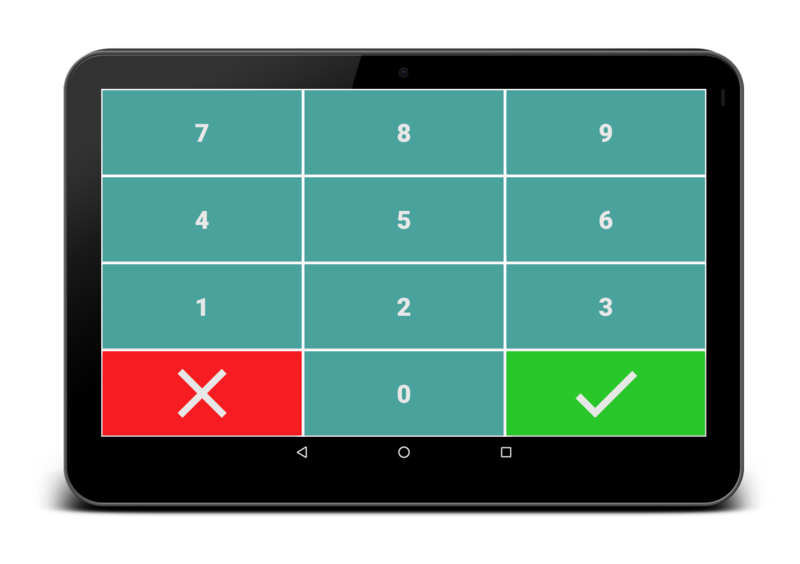 Turn any tablet into an advanced attendance terminal. Most small/medium sized businesses have no way of keeping track of their employees' working time. The main reason is cost and complexity of such systems. eStaff is very cost effective and easy to setup. Commercial punch-in/out systems require special purpose hardware which usually is expensive and difficult to setup and maintain. 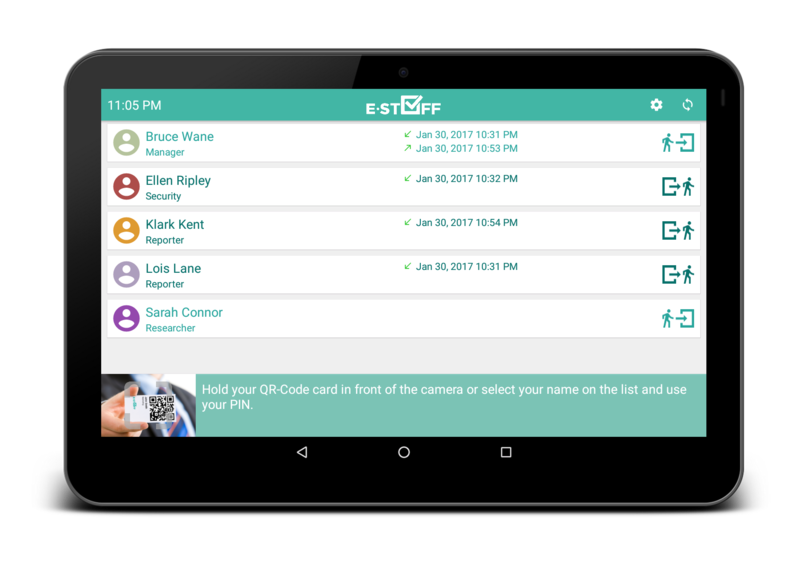 eStaff can be used with any android tablet. If it breaks just get a new one. No maintenance is required. "Can you punch in for me tomorrow?" This is called "buddy punching" and all punch-in/out systems suffer from it. 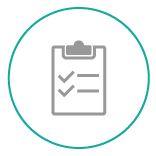 eStaff can be configured to take a Photo for employee verification. If someone tries to punch-in/out for another, they will get caught. Fingerprints and other biometric data are considered personal information and shouldn't be used. Besides despite common belief they are very easy to fool. Cloud based systems are nice but if the network is down employees won't be able to check-in/out. eStaff works even without internet connectivity. Just upload everything at the end of the day. Having multiple locations (e.g. floors or buildings) will multiply the cost of the system. 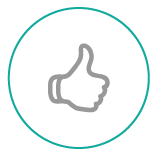 eStaff has support for multiple locations with no extra cost (for businesses with more than 25 employees). Payroll is very hard when you pay people by the hour. eStaff has advanced reporting and filtering. Get a months summary with the click of a button. Sign in and add your employees. Download the app and link your account. No more "time rounding". A few minutes every day for every employee add up at the end of the month. The app displays the employees in alphabetical order. For each employee their last check-in / check-out times are displayed. At the bottom left corner a scanning preview is displayed. Upon arrival / departure, the employee places their QR-Code card in front of the tablet's camera. The app plays a sound when the card is scanned successfully. 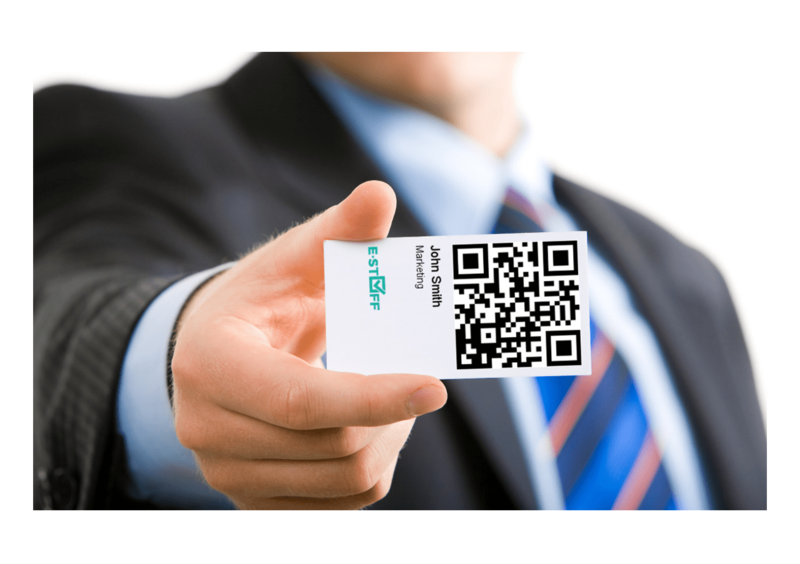 The QR-Code cards for your employees can easily be printed from the management system. You can use any printer and paper. In case an employee loses their card it can be replaced at no cost. An employee forgot/lost their card or you don't want to use QR-Code cards? Your employees can checkin/checkout using their PIN. The employee taps on their name in the employee list. A prompt for their PIN shows up. As an extra verification step you can configure the app to take a picture when an employee checks in/out, after they scan their card or enter their PIN. A camera preview will show up and a quick countdown will start. 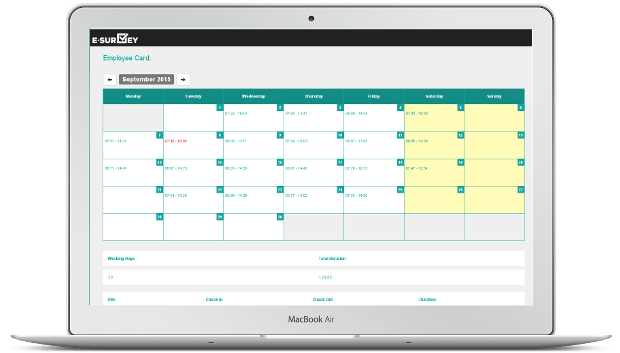 You can give your employees access to their personal attendance page. 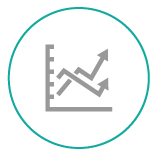 Each employee can monitor their own monthly attendances. The same information is available to you at the management system.